WASHINGTON (CNN) - The heads of the Senate Intelligence Committee said Wednesday they're in discussions about providing a transcript of Maria Butina's closed-door committee interview to the Justice Department and her attorneys. 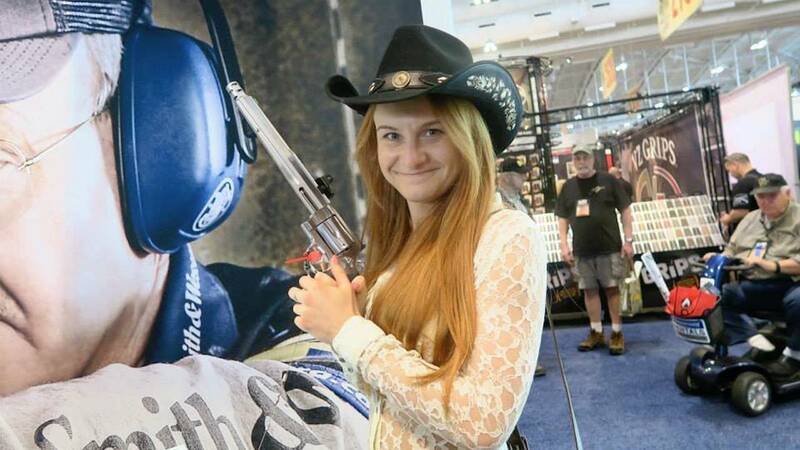 Butina, a Russian gun rights activist who was charged last month with acting as a foreign agent in the US, was interviewed in April by the Intelligence Committee as part of its probe into Russian interference in the 2016 US election. In a statement, Senate Intelligence Chairman Richard Burr, a North Carolina Republican, and Vice Chairman Mark Warner, a Virginia Democrat, said they were seeking authorization from the Senate to release the transcript in response to requests from the Justice Department and Butina's counsel. The transcript would not be released publicly, they added. "The Committee intends to provide the transcript, provided both parties agree to include it under the auspices of a protective order, which we understand is currently under discussion," the senators said. The Senate on Wednesday approved a resolution by voice vote that would give the committee permission to release the transcript. Snippets of Butina's testimony have been included in news reports about the 29-year-old Russian, who worked alongside her mentor, Alexander Torshin, to develop "back channel" communication with US politicians, according to an FBI affidavit. Butina, who founded a gun rights group in Russia called Right to Bear Arms, told the Senate Intelligence Committee she had received financial backing from Russian billionaire Konstantin Nikolaev, CNN reported last month. At a court appearance last week, Butina's lawyer Robert Driscoll was frustrated about his ability to defend her without access to evidence. He indicated that he believed the government was privy to Butina's Senate Intelligence testimony, but Wednesday's statement from the committee would suggest the Justice Department does not have the transcript. Driscoll said Wednesday he was "glad" the committee had sought authorization to release it. "The committee's action is welcome," he said. "Frankly, the Senate testimony addresses many of the issues the government has raised in their prosecution."